Mode 870" extra barrels with 3" chambers: used on Super Magnum1" and Magnum receivers will handle both 2 A" and 3" shells only. Use only 2 A" shells when these barrels are used on non-Magnum receivers. *20-gauge 870™ Lightweight barrels will not ft 20-gauge standard 870™ guns. 1 Cantilever Rem™ Choke Deer barrels supplied with Improved Cylinder and Extended Rifed Choke tubes. 2 Rife-sighted Rem™ Choke Deer barrels supplied with Rifled and Improved Cylinder Choke tubes. 3 Express® 20-ga. Fully Rilled Deer barrel has 2 A" chamber. 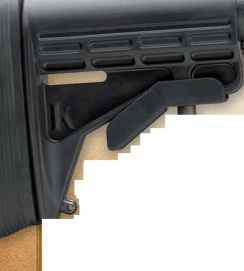 Model 870™ extra barrels with 2 A" chambers will fit both Magnum and 2 A" receivers. Use only 2A" shells in these barrels. f Camo Mossy Oak® Break-Up® Pattern.